Astronomy is a thrilling and a worthwhile hobby that gives me lifetime captivating observations and revelations as an astronomy hobbyist. I always find pleasure pursuing my hobby since this is where I derive optimal fun. I know that astronomy is an expensive hobby that could be frustrating at times, and I chose this activity with the full knowledge of such. 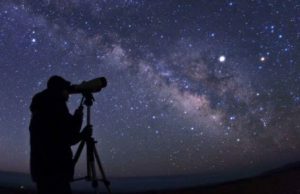 Before I ventured on buying a telescope for my astronomical exploration, and other equipment, I had to set aside some time to learn about the fundamentals of astronomy. I also went through the resources that I had that would help me learn more about astronomy and how to study it. I share the steps that I use to derive more fun from my leisure time in astronomy. I took time to educate myself about the wonders and fascinating facts about astronomy. 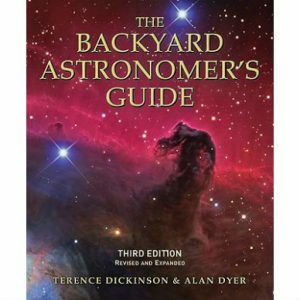 The many astronomy books and online resources that I have read have shaped me and helped me know more about astronomy. Out of the knowledge that I have gained, my hobby is, I like to think, one of the more interesting ones. And while this number of people has grown so much in more recent decades with the ready availability of information, space-searching technologies, I can still recommend good, old-fashioned hard copy books. Some of them are: a self-teaching guide by Dinah Moche, The Backyard Astronomer’s Guide by Dickinson and Dyer, and A Field Guide to the Planets and Stars, by Tirion and Paaschoff. These books gave me an overview of astronomical history and observations. The planets and moons are easy to read about in these books. I also have perfect views of the stars, nebulas, galaxies, globular clusters, and comets as a result of exploring in such books. I take pride in shopping in popular, and more out-of-the-way bookstores, as well as internet shopping sites. Moreover, there is a nearby library close to where I live where there are various books which cover astronomy extensively. I also get a chance to watch some interesting astronomical movies, and these add to my knowledge and experience of the galaxy and the Milky Way. Some of the movies I watch take me to places in space that I have never had a chance to capture, even with the sophisticated telescope that I have. If I can, I like to choose movies and books that have been produced in the recent past. Any book that was written five years ago or less, say, is a good read for me. I have also taken time to read magazines on astronomy. Such magazines that I have read are Sky and Telescope, and Astronomy Now. The magazines give me more discoveries to make on the galaxy. They also give me an update of the smartphone applications and computers that have the latest information on Galaxies and the Milky Way as well. This is what keep me going. I get some insight into some of the websites that I should visit so as to learn more about space. A particular magazine that I read that moved me and increased my curiosity about space was the Night Sky magazine that was first published in 2004. 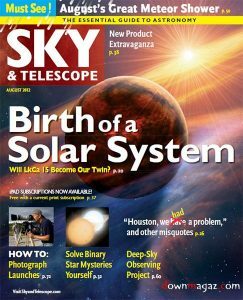 When I was beginning as an amateur astronomer, this was the magazine that gave me the urge to explore more. In addition to reading books and magazines, it will not surprise you to know that I have made the internet my friend. I take advantage of such famous websites such as the Society for Popular Astronomy and the Astronomical League, which always have updated information about astronomy, an which continue to pique my interest. NASA too has an amazing resource of all things connected to space, as you might well be aware of, but I highlight it because I love its Astronomy Picture of the Day, plus a host of other resources, not least the ability to listen in on men communicating between Earth and the ISS. Having this website will give me more space to share my own knowledge and escapades. I aim to develop my collection more so that I can be an authority too in the astronomical field.